“Snow Birds on Naples Pier” is another in a series of genre paintings of women that I have been exploring. Culturally, we are bombarded with what qualifies as beauty in a woman, and those qualities can fall into a very narrow set of guidelines. In my work, I am exploring what I see as beautiful in a woman that often deviate from cultural mores. 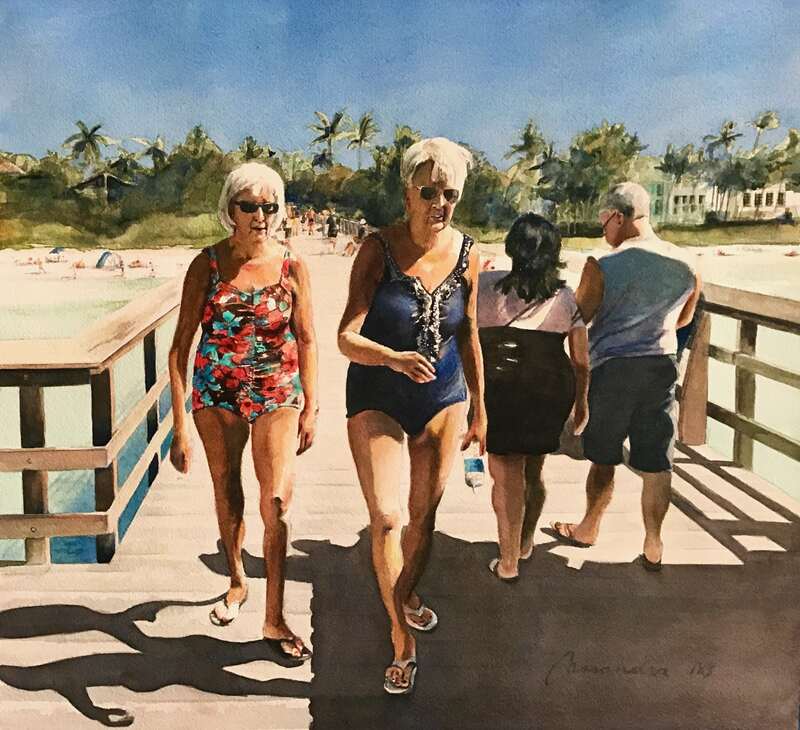 In this piece I spotted these women marching with purpose down the long pier in Naples, Florida. Their stride was decisive, both talking animated with each other, and their attire was colorful. I saw no age, even though their age is apparent, but I saw the beauty of being female, confident and seasoned in their own skin. I also loved how the value of their white hair acts as a focal point against the dark values of the shadows on the pier and the landscape in the background.